I’ve been wanting to make another container for boiling water besides a burn bowl. 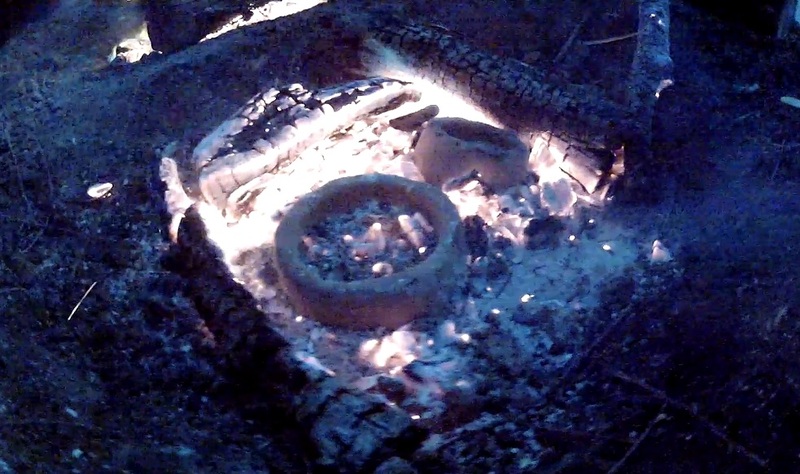 Making pottery seemed like a good method. 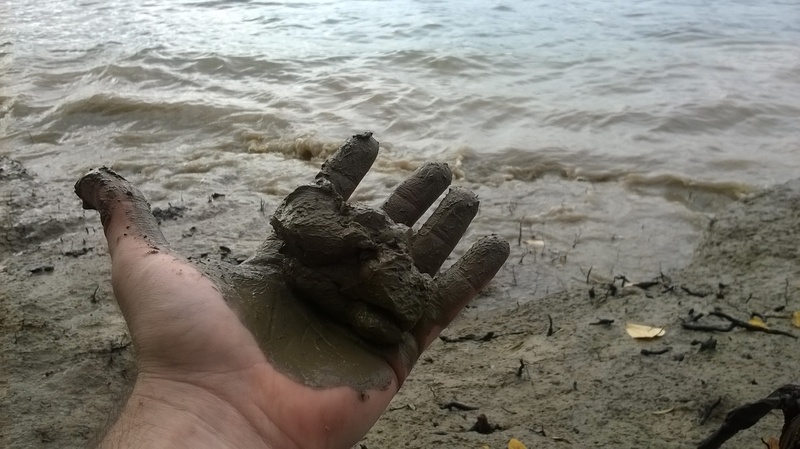 I sourced some clay from the riverbank and mixed it with sand to act as a temper (Temper helps keep the pot from breaking during the firing process). 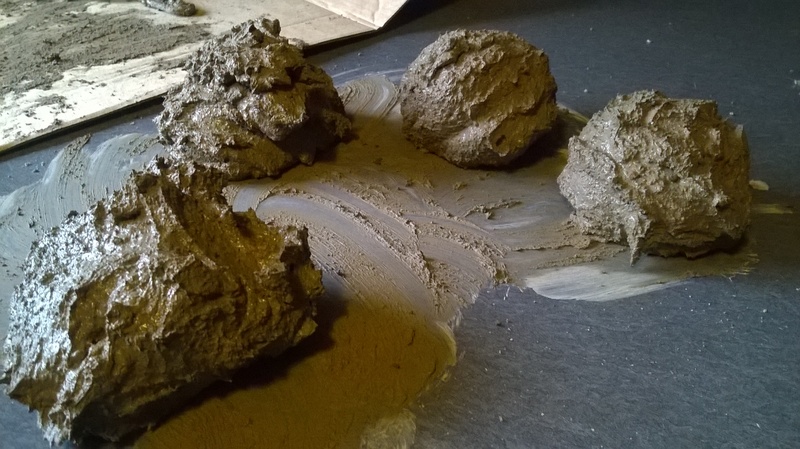 I used one hand-sized ball of clay with 1/2 a cup of sand. This was just a guess for the first trial. 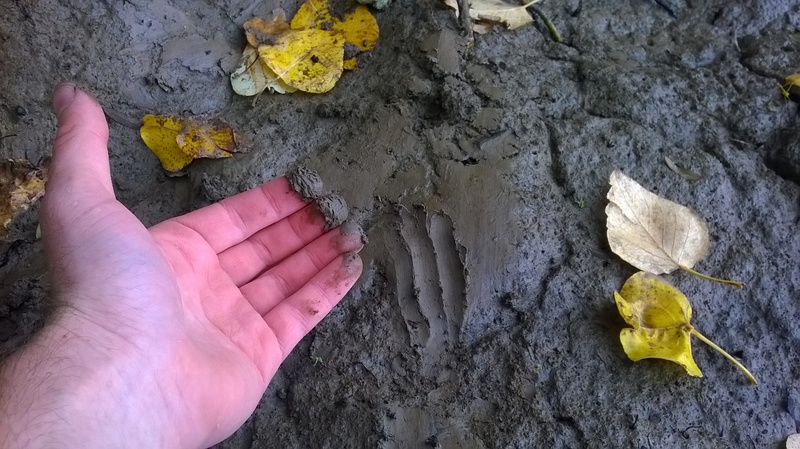 The clay was very moist from being on the riverbank so I left some chunks out on the counter to dry out a bit. 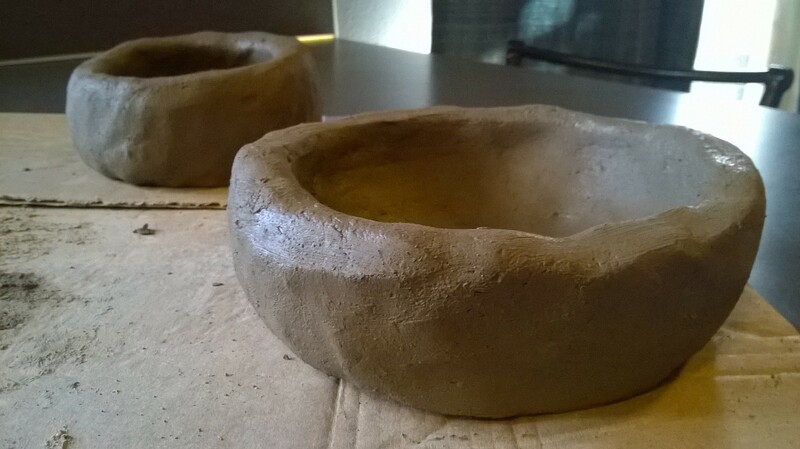 After a day of drying, I shaped the clay into small pinch pots. 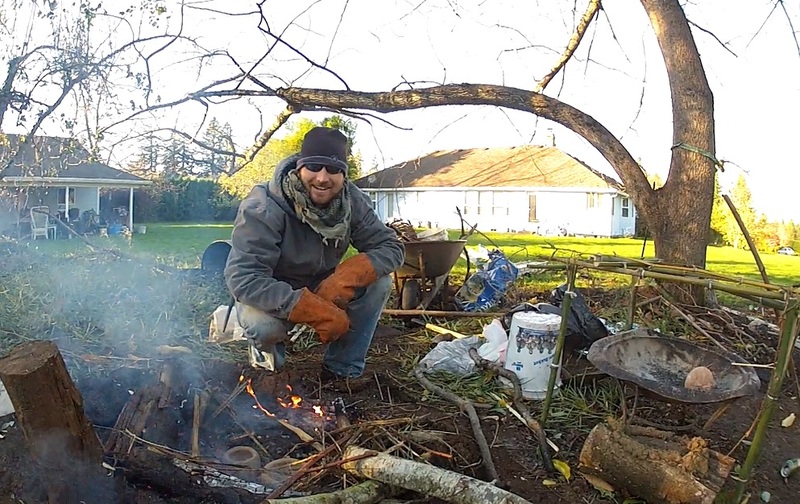 I waited a few days for the pots to dry completely, and then made a fire to preheat the pots. 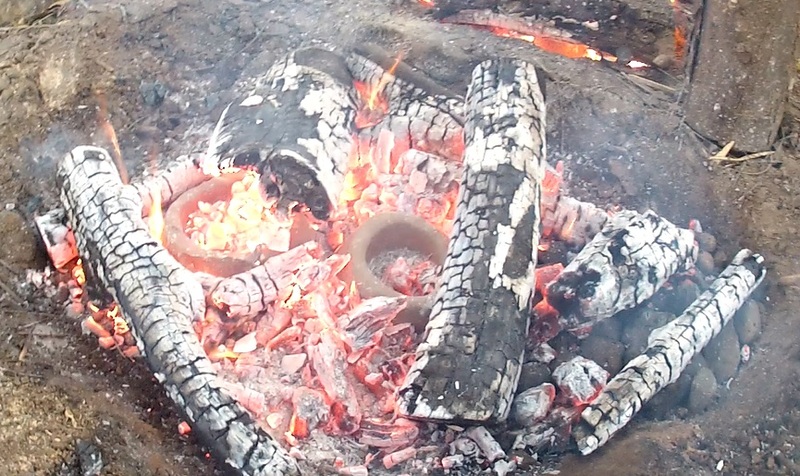 I then placed the pots inside a large ring of fire. 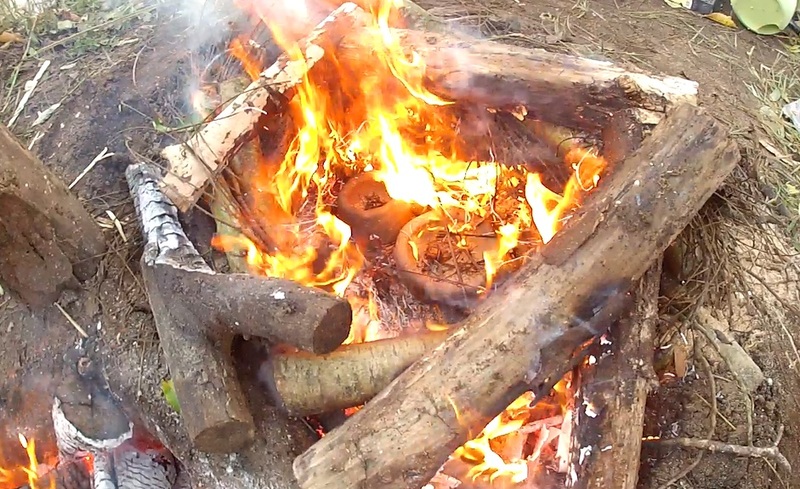 After they had been in there for an hour or so I added wood to the top of the fire so that they could cook the rest of the way. 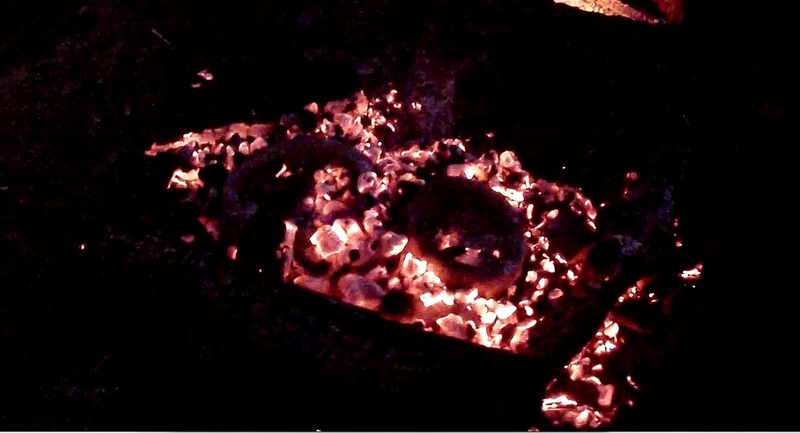 After several hours the coals had burned down, allowing the pots to slowly cool. 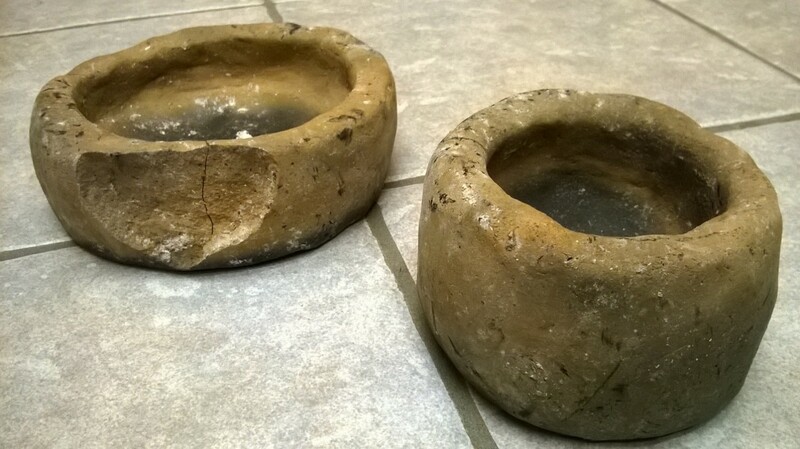 The larger of the two pots had a piece crack off early during the firing process however the main portion was still useable. 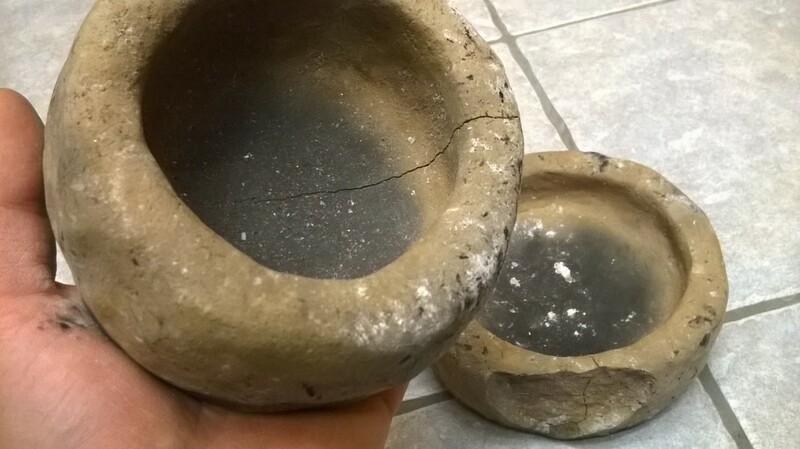 Unfortunately once the pots had a chance to cool completely I realized they both had a hairline crack running through them. I plan on using this experience to create some fancier coil pots, and to experiment with different amounts of temper mixed into my material.